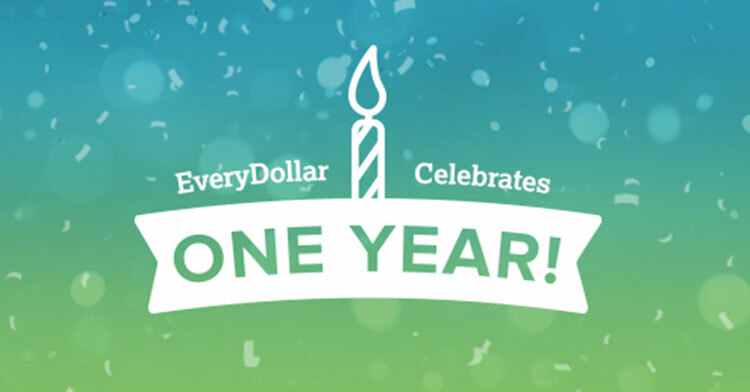 What a Difference a Year Makes: EveryDollar Turns One! EveryDollar is all grown up! Okay, maybe we’re just turning one, but this first year has given us a lot to be excited about. That’s because we celebrated one million budgeters this year! And we heard from so many amazing people who paid off debts, filled up their savings accounts, and experienced incredible wins with their money. It’s honestly the best birthday present we could have asked for. You’re the reason we’re so energized about all the years to come. My parents never really showed me how to budget. In 2015 I started my financial journey and was able to get to Baby Step 3. Soon I will have a fully funded emergency fund! I’ve never known the peace and financial freedom of having money in my savings account—just sitting in the bank. I love it! I couldn't have done it without a financial roadmap to get me here. – Alena S.
In the last 10 months of using EveryDollar, I've been able to save several thousand dollars as well as cash flow part of my master’s degree. It has been a huge help and I am so glad this tool is available and free! – Emily V.
A year ago, we had $400 in our bank account and over $12,000 on credit cards. That was the day before we flew out to spend Christmas with my family. I worried the whole time about having enough to make it home. This year, we had a great Christmas. We stayed on budget, and we're closer than ever to being debt-free! It's been a good year. – Scott S.
We want to extend a big thank you to all the amazing budgeters who joined us this year! And if you’re new to EveryDollar, we’re so glad you’re a part of this budgeting movement. We can’t wait to hear about the incredible money goals you’re about to achieve. Thanks for celebrating with us. And happy budgeting to you! Ready to get excited about your own budget? Create one now with EveryDollar – it’s free and only takes 10 minutes. You’ll be thanking yourself this time next year!